Rev. John W. Shiels, CSV, died peacefully in his sleep on Thursday, November 12, 1992 at the Province Center. He was 77 years old. John William “Bip” Shiels was born in Shelbyville, Illinois, on August 19, 1915. He was the son of James and Mary Delany and was one of three children. John graduated from St. Theresa High School in Decatur, Illinois and entered the Viatorian Novitiate in Lemont in 1934. He began studies at St. Viator College until its close in 1938 and graduated from De Paul University with a degree in Philosophy. While completing his final year of studies in Chicago, John was assigned to the Mission of Our Lady of Mercy where he, and several other Viatorians, worked with homeless youth. 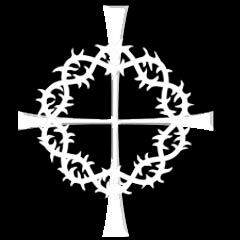 In 1939 John began his theological studies at Catholic University of America in Washington D.C. and was ordained in 1943. During those same years he also completed a Masters Degree in Education with a minor in Chemistry. Following his ordination, Bip began a long career in secondary education. He served at Cathedral Boys High School for seven years until he joined the team of Viatorians taking over Spalding Institute in Peoria in 1950. 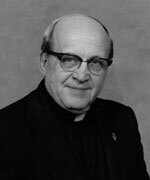 In 1953 he was transferred to Alleman High School in Rock Island where he served the next six years and then to Bishop Gorman High School in 1959 where he served as both teacher and administrator. He was principal of Bishop Gorman in 1964. In 1966 he moved back to the mid-west and was assigned to Bishop McNamara High School in Kankakee. In 1969 he left secondary education and began parochial ministry at St. Patrick’s Church. 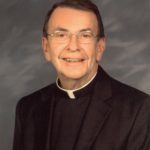 He served as assistant at Sacred Heart Church in Goodrich and in 1970 he became chaplain at Manteno State Hospital, a position he maintained until his retirement in 1983. Visitation for Father Shiels was held on Sunday, November 15, 1992 from 4:00 p.m. until 7:30 p.m. at the Province Center in Arlington Heights. A Funeral Mass was celebrated at 10:00 a.m. on Monday, November 16, 2008. Burial was at Queen of Heaven Cemetery. Father Shiels is survived by one sister, Mary Latendresse. Remember Father Shiels in your prayers and gather together in local communities to remember him in Eucharist.